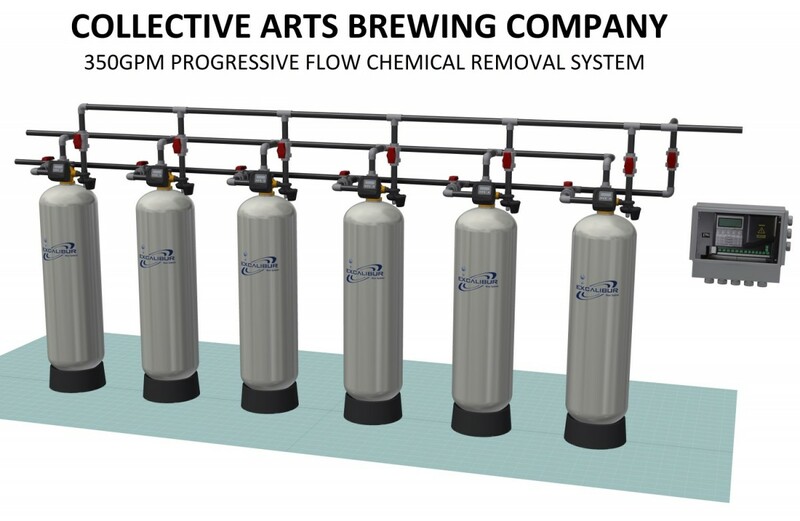 This system was developed to treat feedstock water for an Ontario-based brewer. The brewery, located in an urban area, uses water from the municipal water supply as feedstock to the brewing process. Excalibur Water systems used their pre-engineered sixplex progressive flow water activated charcoal filter to handle varying capacity requirements and enhance reliability. The filter removes VOCs from the water (including chlorine) for neutral-tasting, odour-free water. 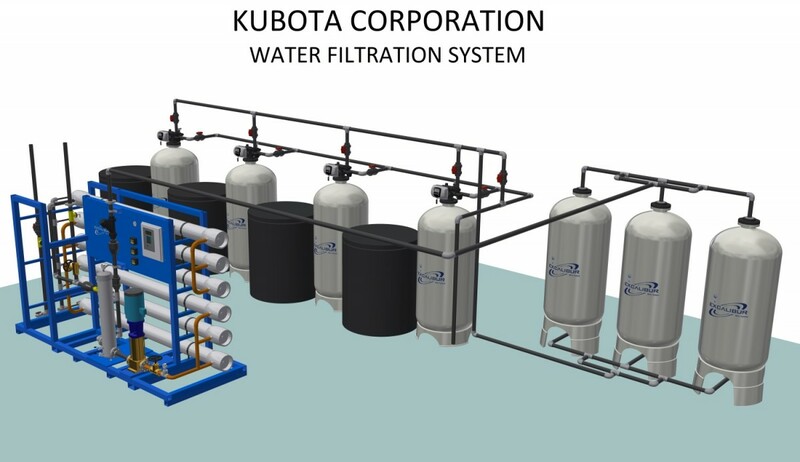 This system was developed to treat feedstock water for a Kubota manufacturing plant. The plant used the municipal water supply for feedstock and the municipal sewer system to dispose of postprocess water. The municipal water supply was hard, tainted by chemicals (particularly chlorine used for disinfection), and enough TDS (Total Dissolved Solids) that the wastewater could not meet municipal requierments for total dissolved solids for a plant this size..
Excalibur Water systems created a system using off-the-shelf industrial-grade products - quadplex progressive flow water softener to handle varying capacity requirements and enhance reliability, a triplex progressive flow chemical filter to remove VOCs from the water (including chlorine), and a large Reverse Osmosis unit to reduce TDS in the input water. The chemical filter uses high purity carbon granules to remove organics (adsorption) and residual disinfectants (chemical reduction). The Reverse Osmosis system reduces TDS in the water to less than 5 ppm, which provided enough headroom for the plant to meet local environmental requirements.